← Stress?!@? Give Yourself a Time Out. When you travel do you take the fast track or the scenic route? That really says something about you. Do you always choose the fastest way or meander enjoying each moment? And is this in your everyday life or just when you travel? Besides understanding yourself better, if you know someone who does the opposite from you, this may help you deal with them as well. Some thoughts to ponder. 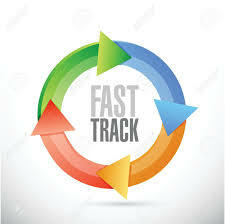 If you always or usually choose the fast track, you may not want to waste time. You may be a goal oriented person. But do you ever appreciate your path or take time to “smell the roses” and enjoy the scenery as you go? It might be that you work so hard getting to each goal you miss your children’s performances or big games. Or maybe you are so focused on your children that you let something else important go. On the opposite side, if you enjoy every moment meandering and taking the scenic route, are you avoiding getting things accomplished or meeting goals or deadlines? Are you taking so many sick days your boss can’t even remember what you look like so that when the next layoffs come he has you at the top of his list? Or maybe you miss important events because you don’t plan in advance. My day job was always one that had deadlines and I treated my entire life like that, so I was definitely on the fast track. Taking time to meander, almost never happened. Even traveling was fully scheduled and running every minute. I loved it, but never took any time for the meandering. If you need a vacation from your vacation…next time try some meandering to find the joy. Force yourself to give yourself mornings off from plans or extra time to enjoy a museum if you normally cut yourself off. 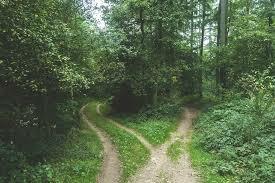 There are times for everything…If you are almost always on the fast track, take some time to meander and vice versa. See how the other half lives!